"The Angel of Hadley,"...General William Goffe? On my way to visit friends yesterday in western Massachusetts, I passed through the rural town of Hadley and was reminded of one of my favorite New England legends. 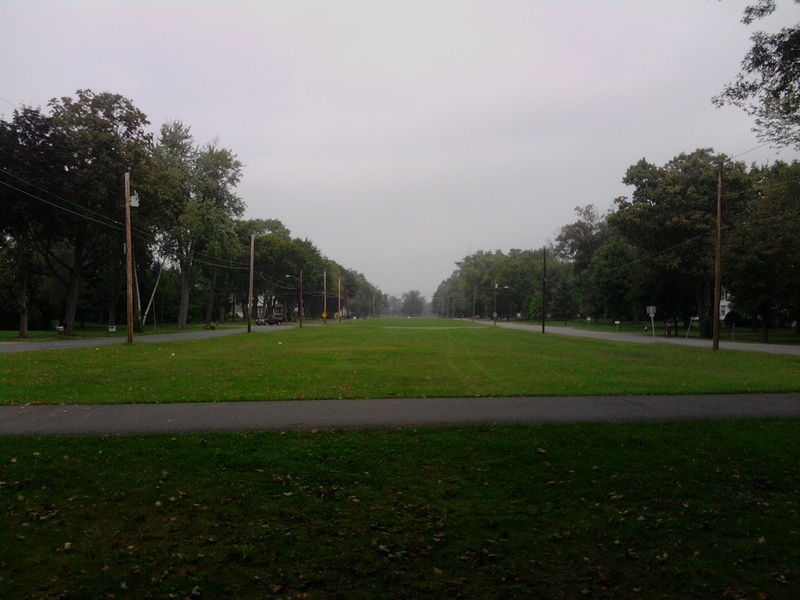 As I drove by the town common, I decided to stop and linger there for a bit, something I haven’t done in maybe 15 years. Hadley’s common is enormous–a long corridor of open land on which was once situated the original walled settlement, established in 1659. 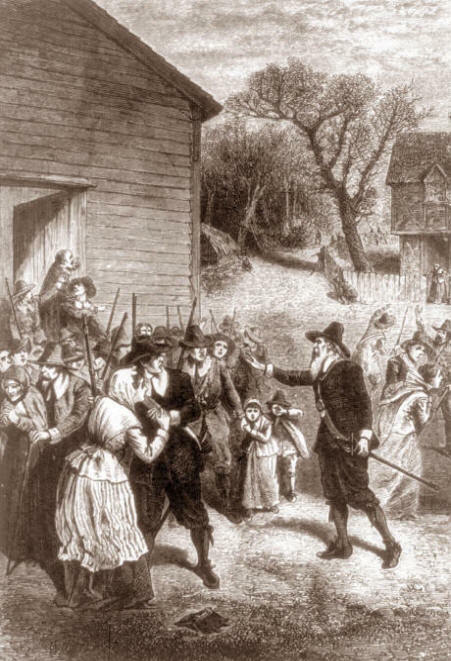 In 1675, King Philip’s War raged throughout the New England colonies. It was a brutal and horribly bloody conflict between English settlers and various groups of Native Americans. At the time, villages like Hadley and Deerfield were out on the far-flung fringe of English settlement…easy targets for attack by the Native Americans. According to legend, such an attack struck Hadley in September of 1675 while the inhabitants were at worship. When the alarm was raised, men grabbed their weapons and ran out to meet the attack. Completely disorganized, confused and afraid, many of them unarmed, the settlers of Hadley were in no way prepared to defend themselves. The utter annihilation of the town seemed imminent. Suddenly, in the midst of this chaos appeared an elderly man carrying an old sword. No one had seen him before. He seemed out of place, quite different than the rest of the settlers. His bearing was distinctly military. He coolly placed himself in command, rallied the settlers, and quickly instructed them as to how they should fight. The attack was repulsed. As soon as the conflict had ended, the mysterious stranger disappeared, leaving many to wonder if he had been an angel from God. The story was first documented by Thomas Hutchinson, then Lt. Governor of Massachusetts, in his 1764 History of Massachusetts. Hutchinson identifies the mysterious hero as General William Goffe, a key figure in the English Civil War and one of the Regicides. William Goffe was born about 1605, became a zealous Puritan and follower of Oliver Cromwell who apparently held him in high esteem. When the English Civil War broke out in 1645, Goffe became a captain in a Parliamentarian regiment, battling against the Royalist forces loyal to King Charles I. In 1649, the victorious followers of Cromwell, having failed to convince King Charles to accept a constitutional monarchy, decided that they really didn’t need a King at all. Barring any Royalists from Parliament, the Cromwellians established the High Court of Justice to try King Charles and sentenced him to death. 59 members of Parliament signed the death warrant. William Goffe was the 14th man to sign. His father-in-law, Edward Whalley, an influential and close ally of Cromwell, was the fourth to sign, just after Cromwell himself. These officials who signed the death warrant became known as the Regicides. Charles was, of course, beheaded. Royalists renewed Civil War after Charles’s death, led by his son, the future Charles II, seeking to oust Cromwell. During this phase of the war, Goffe led regiments as a colonel at the Battle of Dunbar and the Battle of Worcester. Shortly after the war, Goffe would be appointed major general. The Royalists were finally defeated in 1651 and Cromwell’s Protectorate was established in 1653. It wasn’t to last. Cromwell died in 1658 and his Protectorate crumbled away. Royalists reclaimed Parliament and Charles II was declared King as though the entire Interregnum had never happened. Once on the throne, one of Charles II’s foremost priorities was to avenge his father and hunt down the Regicides. Edward Whalley and William Goffe wisely fled England in 1661, taking refuge in Boston. But the King’s men were on their trail, so they soon moved on to New Haven. They spent three years moving from place to place in Connecticut, for a time hiding out at a rocky outcropping outside New Haven now known as Judges’ Cave. 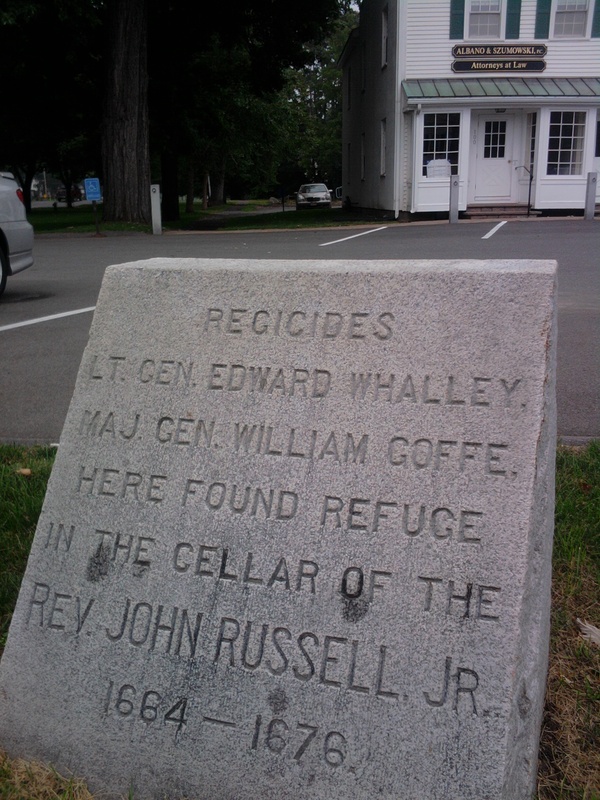 Making their way northward up the Connecticut River to places more and more remote, the two Regicides finally landed in Hadley, Massachusetts and were secretly sheltered by Reverend John Russell. The major proponent of this legend was Rev. Ezra Stiles, president of Yale, who in 1794 wrote A History of Three of the Judges of Charles I. The story of a soldier who had helped bring down a King and then came to the aid of pioneers in America resounded with readers after the American Revolution. The tale took on a life of its own and eventually inspired James Fenimore Cooper, Nathaniel Hawthorne and Sir Walter Scott to write their own versions of the story. Hadley Town Common, site of the original settlement which the "Angel of Hadley" might have saved. However…the debate isn’t quite finished. In Mysteries and Legends of New England (2009), historian Diana Ross McCain offers a great historiographical analysis of the whole “Angel of Hadley” legend and points out that more recent historians are challenging Sheldon’s interpretation of things. Douglas Wilson, for one, puts forth an argument that an attack on Hadley actually did happen and quotes a description of such an attack in Increase Mather’s 1676 history of King Philip’s War.